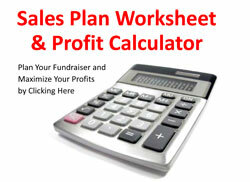 looking for a simple and effective way to raise money? The GO-CARD is a wallet-size plastic discount card that displays your organization’s name, photo or logo on the front side, and 12 discount offers from area restaurants and businesses on the back side. Your organization sells the GO-CARDS to the public and keeps up to 80% of the proceeds! We’ll show you how you can reach your fundraising goals (and beyond) by selling a product that your customers will love buying! Simply enter your details below and one of our friendly representatives will be in touch right away! These calculations were made using a $10.00 selling price. You decide the actual selling price that you think your market will support (typically $10 to $20). When you place your order, tell us what retail price that you would like to be printed on your cards. Keep in mind that you can always sell the cards for less than this printed price! People like saving money and getting discounts at popular restaurants and businesses. By using the Go-Card just a few times, your customer will save more money than he paid for the card. At that point, the card becomes a money-maker for the customer! Unlike most coupons, the Go Cards offer CONTINUOUS DISCOUNTS , and are valid for a full-year period. Think of how much you could accumulate in savings over a year just by using your Go-Card at your favorite restaurants and businesses! The real value of this fundraiser is your organization can make A LOT OF MONEY without having to deal with the huge time commitment and logistical nightmare associated with typical fundraisers. With the Go-Card, you don’t have to fill out annoying catalog order forms, pick up any products, or maintain an inventory. You don’t have to spend time figuring out who ordered what, who paid or didn’t pay, or who didn’t get their products yet. Nobody has to go door-to-door a second time to deliver any products, so that cuts your time in half right there! Simply enter your details above and one of our friendly representatives will be in touch right away!